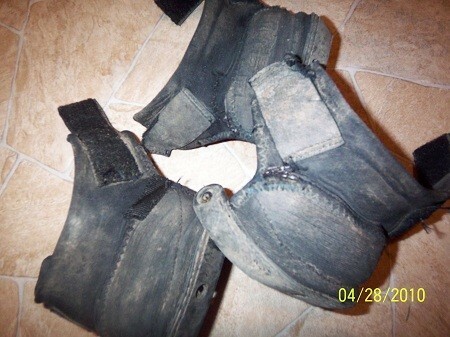 I recently was asked how I repair torn EasyCare boot gaiters. 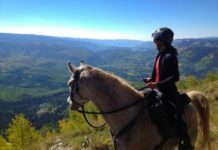 My horse and the terrain I ride in and on is just hard on the gaiters, period. So to save money, I came up with ways to repair them. 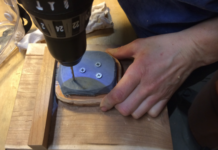 Here are photos of some of the repairs I have done in the past. I easily stitch them up with my regular sewing machine. I recommend you give the gaiters a good cleaning first so you don't damage your sewing machine. 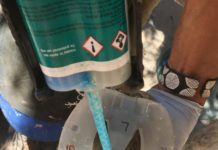 I have had to repair a lot of gaiters through the years. 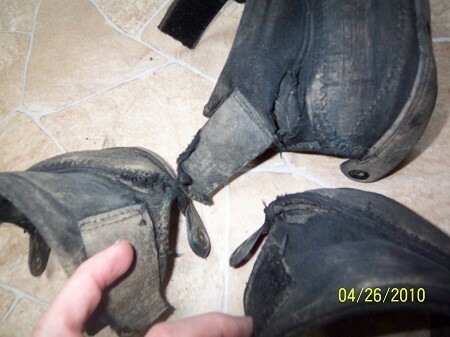 And not just from the normal wear and tear, since my horse was known to grab the velcro with his teeth and rip it off. 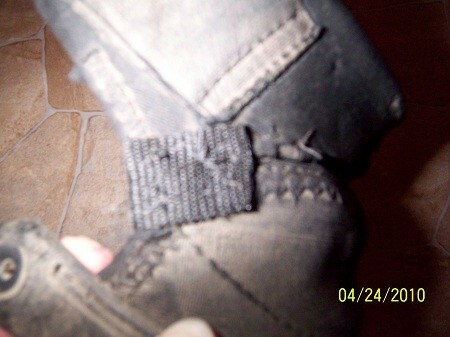 I saved and recycled the strap that was included when I purchased my buckle/cable line of boots – I used it to add more strength to major tears (shown in some of the photos). Now when the stitching is torn out at the hard plastic, I just take them to Mike's Tack Repair Shop in Enumclaw. He just restitched two gaiters for only $5. What a deal and well worth it. 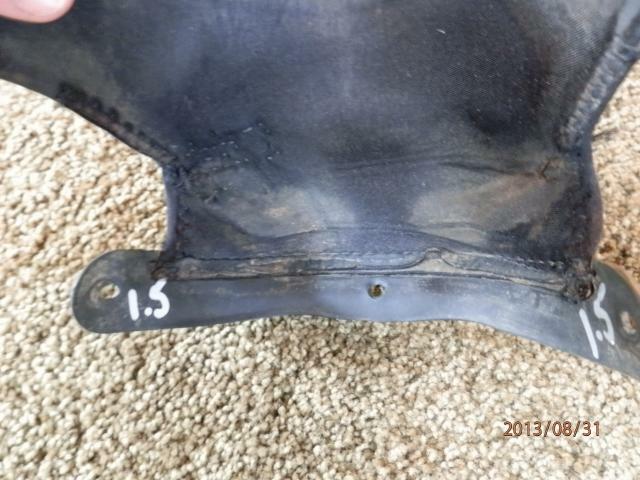 I am also taking a silver marker and writing the sizes on the repaired gaiters so it is easier to see and grab. I saw another Team Easyboot member recently post about doing something similar on new boots, I like the idea and now doing this on all my spare gaiters. I try to simplify my life and get back on the trails faster. I just washed up about a years' worth of torn gaiters and am about to start repairing them. 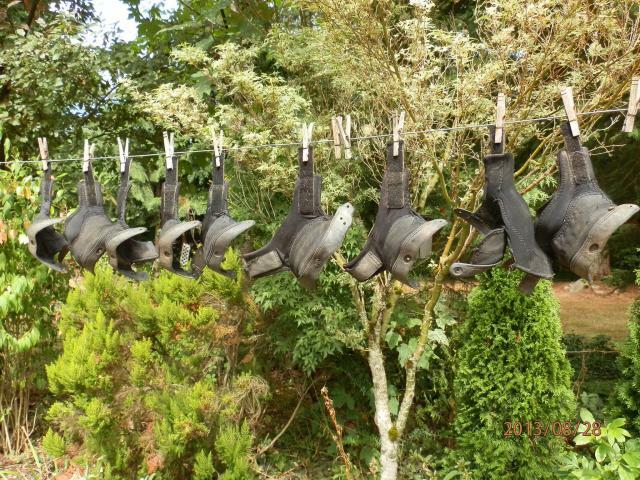 As you can see I hung them out to dry on my clothes line. When I went to take them down. I stop, had a good laughed at it and went back into the house for my camera. Next batch ready to be repaired (not sure about that one but will give it a try).